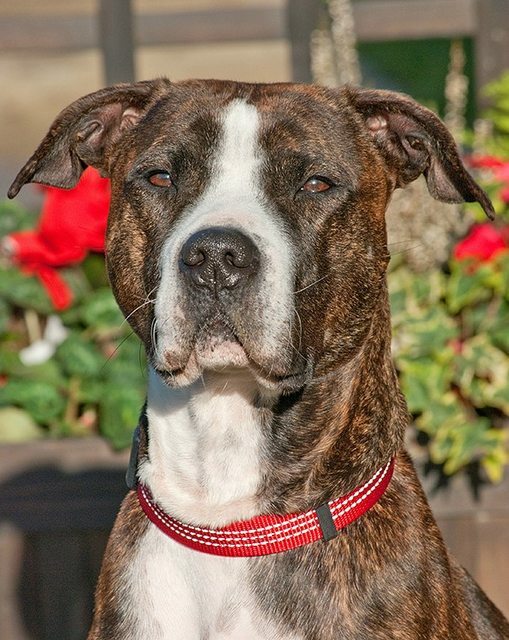 Maria is a 7 year old female Mastiff Cross. Maria needs a family around her supporting her as she gains confidence dogs out and about: An extender to give her scope to smell & explore. Maria meets most dogs well with supportive encouragement needs stewardship to avoid gushing off lead encounters. Maria has a sensitive digestive system which is reactive to stress but does settle. Maria would enjoy being an only pet. 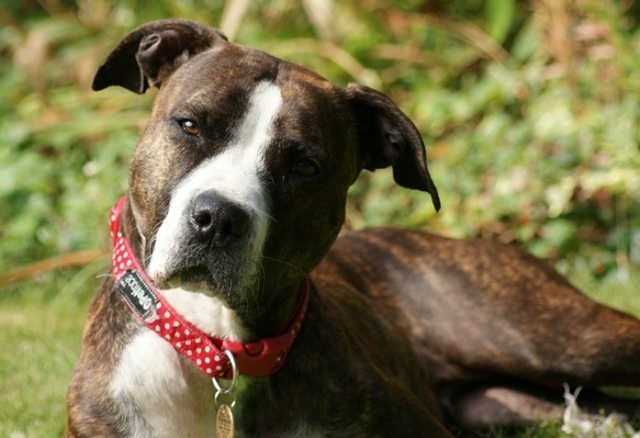 Maria was abandoned in boarding kennels by her. We took Maria on 4 months later, homed her for 3 month period but returned as her owner was meant to be on temp. crutches but became long term disability & could not manage her outside. Maria is spayed, chipped and fully vax’d. 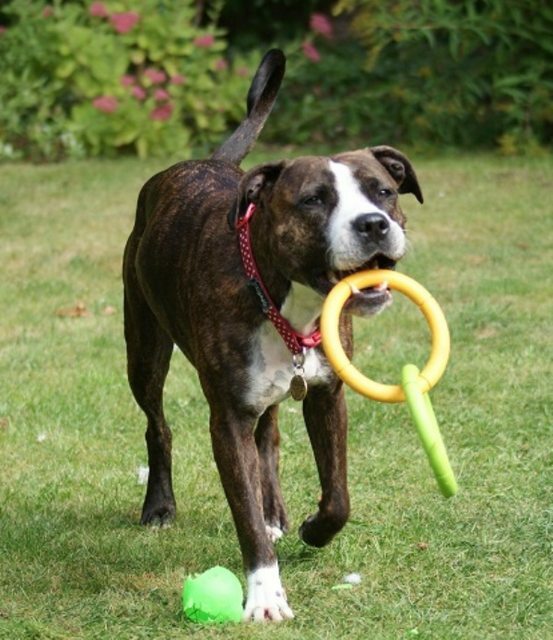 Maria is currently in boarding kennels in Chessington with overnight and weekend stays see her thread as an only dog. Ava Maria! Amazing girl who is calm & settled in herself and perfect companion. Excellent people skills. Maria loves routine, with regular walks, she shines. She settles when left and travels well in the car, ideally on the front seat harnessed. Maria loves to cuddle up and enjoys lounging on the sofa or playing with her toys – she self-entertains which is a joy to observe. 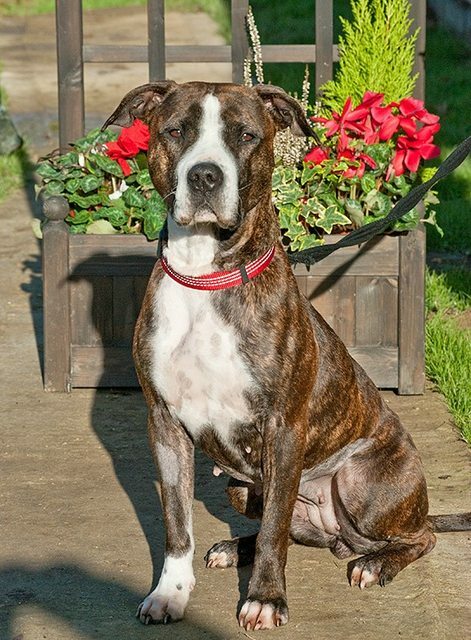 Maria is a 6 year old Mastiff x with a rich brown brindle coat with white chest and toes. Maria is best suited to a good quality diet. Maria has been in kennels too long. Maria needs support outside with dog encounters most find her easy to manage. She loves being in a home environment. Maria is calm within the familiar. A large dog experienced family who can support her around dog encounters Miss Perfect! Visit Maria’s thread for daily updates, lots of pictures and videos. Please click to submit Online Application We will match you with a dog that suits your lifestyle, please remain open we successfully home 350 dogs per annum. 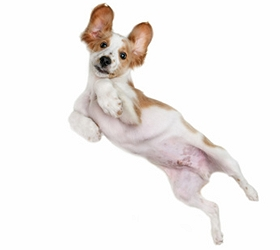 We work fast to secure our dogs their loving homes.